How Mumford and Sons made their way to Ontario&apos;s Southwest. How did one of the world’s biggest bands end up at the Norfolk County Fairgrounds in Simcoe, Ontario? That’s the question that’s been asked over and over again since February 5th when the news was released that Mumford and Sons would be bringing their first-ever Canadian Gentlemen of the Road Stopover to the Fairgrounds in Simcoe. While most of our community was caught off-guard with the surprising news, it was no surprise to the community members who worked in the background between November and February to encourage the band to visit Norfolk County! We had been in discussions with Mumford & Sons for a couple of years regarding their Gentlemen of The Road concept coming to Canada. When talks heated up in earnest in November, we started looking for suitable sites and communities. I started looking online for nearby towns of the right size with downtown parks or fairgrounds, and Simcoe was one of the first two or three that I looked at. Concurrently we had asked EDCO to send out a note to members looking for towns to speak up if they had a site that fit the bill. My colleague and I visited the fairgrounds and could tell immediately that it would work, if the community and the fair board were amenable… the site was the right size, and the community seemed to fit all the criteria. The next day, the EDCO note went around, and, among the dozens of other notes and calls, I got a call from Karen Matthews, who was shocked to hear that we had stopped by the fair without coming in to say hello. Once Karen got other key members of the community on board (Economic Development office, DBIA, Mayor Travale), we arranged for a meeting at the fair. We were able to bring the US tour organizers to Simcoe the following week feeling like it was an excellent candidate. We were still driving around Ontario looking at other potential sites, but kept coming back to Simcoe as the place that felt right. From there, it was Karen and the Fair’s great hospitality and enthusiasm that sealed the deal (plus some grilled cheese sandwiches accompanied by “apple pie in a jar”, and plenty of Burning Kiln wine)…the US tour organizers were smitten after their reception. I was sitting at my desk one day in November when Chris Baird from Economic Development dropped me a note that said, “Maybe this would be good for the Fairgrounds!” Attached was a request for Proposal (RFP) from Live Nation that was being circulated through the Economic Developers Conference of Ontario (EDCO) and outlined the criteria for a concert/festival for the summer of 2013. While the criteria were set, there was no further information about who the band(s) were behind the festival. So, I quickly picked up the phone and called Jason Grant from Live Nation, the contact on the RFP, where he outlined the event with a lot more information, everything BUT who the band was! He gave me some clues, but nothing more. On December 5th, a very small meeting was held with Live Nation, the Band Management and several members of our community including many of the County staff. The Mayor joined us, and over a wonderful lunch prepared by the Heather Pond from the Blue Elephant and the Fairly Fat Guys, the group enjoyed the best that Norfolk has to offer. Still, we heard nothing and waited on pins and needles. Finally, word came back that the band would like to come to meet us and to take a look at the community. On Monday, January 14th, Winston and Ben of Mumford and Sons, along with the management teams of the band and Live Nation joined us for a day of exploring in Norfolk County. What shaped up to be an amazing day started out walking through the streets of Simcoe, dreaming about what the festival could look like with the band sharing their thoughts and ideas behind the festival. We spent an hour touring the fairgrounds, again, discussing the possibilities for the event. The band was full of great ideas and had a very clear vision for their performance and for the performances of the friends that play in other bands that would be joining them for the festival. Finally, at the end of January, word came back to us, Mumford and Sons had signed off on the festival. They were coming to the Norfolk County Fairgrounds and the street festival would be held in Downtown Simcoe. We were elated, but we had to keep within our imposed “Cone of Silence” until the media conference on February 6th. At 3:30 pm on that day, Jason Grant made the announcement in Simcoe! It was a go, and tickets would go on sale that Friday. FINALLY, we could all come out of our “cone of silence” and talk about it openly. The entire tour announcement came out of England on that day at the same time, and we were ecstatic that Simcoe was trending worldwide on Twitter! 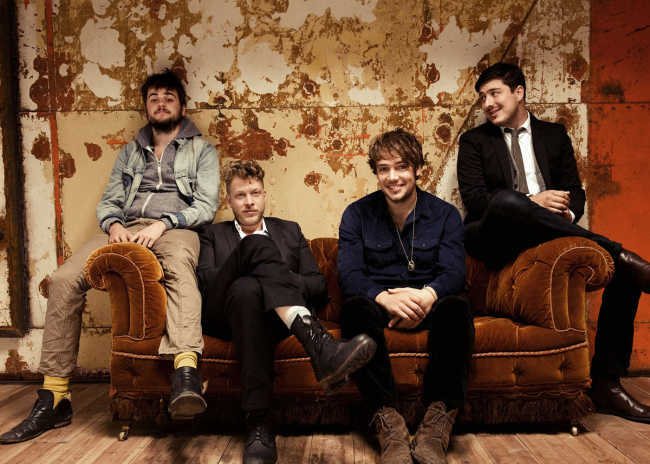 The Norfolk County Agricultural Society, is pleased that Mumford and Sons has chosen our home, the Norfolk County Fairgrounds, as their home for this first-ever Canadian stopover event.